PPP Day 30: A 1st Birthday Party "Sweet Tea & Sunflowers"
I don't have the gift for words that my sister does so I am simply go to walk you through the party via pictures and captions. One of the ideas that I knew from the start that I wanted to use was a photo timeline. I had taken a pic of Gwen every month on her "birthday" and I printed them all out in sepia tone and attached them to wide ribbon with tiny wooden clothespins. Easy Peasy! I used one of Clare's no fail party ideas and printed out a coordinating saying and framed it. It read, "When life hands you lemons put a slice in your sweet tea.". An egg basket full of lemons, and a single sunflower in a #1 vase rounded out this little display. On the main wall I hung a basic pendant banner that I made and embellished with burlap rosettes, burlap bows, and the word "ONE". Above it I made and hung an adorable wreath from coordinating colored tea bags. My centerpiece for the table was actually a last minute find! I was running in Hobby Lobby the day of the party (for ribbon!) and found this awesome vintage crate and HAD to have it:) I had always, for some reason, pictured Sunflowers as my floral accents at the party and was lucky enough to find the HUGE type on sale for a dollar a stem at the local grocery store! I used a completely unfinished piece of fabric as my "runner". On one side of the crate I had all the paper goods for dessert (plates,napkins, forks), a HUGE mason jar of gigantic sunflowers in the middle slot, and in the front spot are the favor bags. I also placed a little blue berry basket out with extra tea bags and honey sticks. I couldn't resist putting out a small candy "bar". I found fun theme colored candy, displayed it in containers I had been collecting for the party, and put some coordinating muffin liners out for people to fill with the treats. I had a really high spot that I filled with Gwen's party hat and another cute framed saying. BASIC but better than boring and empty. Finally I had my "vision piece"
I had seen a small vintage sign on Etsy that simply stated "Sweet Tea" and I envisioned a larger stand alone sign for a corner of my party space. This was a six foot board that I painted, distressed and stenciled. Love how it turned out! I propped it up on a crate and stuck a small jar with a few sunflowers by it. The favors you saw in the crate earlier simply contained the above. A bag of tea, a honey stick, and a couple of tea flavored candies. I enclosed it in a brown sandwich bag and closed them with cute embellished clothespins. All a 1 year old cares about is the cake!!! Couldn't you just eat my niece up with a *spoon*? Who cares about decor, I could just stare at the birthday girl all day long. ;) Thanks to my exceptionally talented sister for posting! 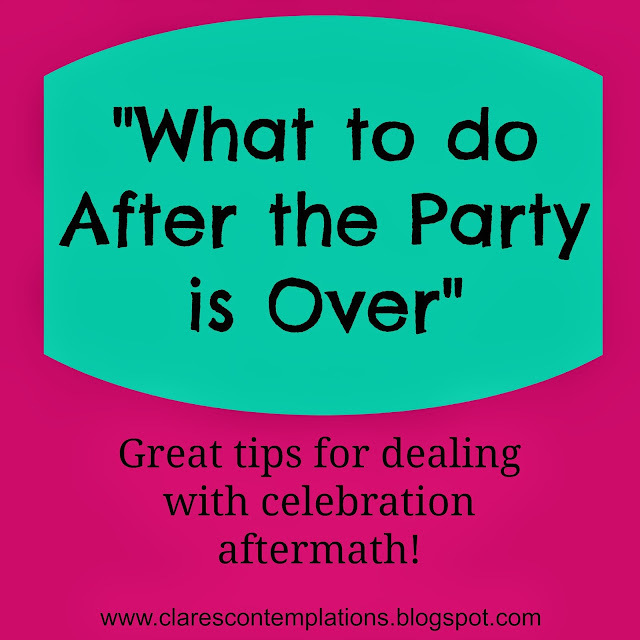 I wanted to do a party before the end of the series, but couldn't pull it off, so I am glad she had one to post for you. In my mind, this is definitely a "perfect party"- lots of love, fun, and special touches celebrating an adorable birthday girl! My sister is a whiz with themes- you should check out her fun muffin tin/bento box lunches, and all the other cute things she does on her blog, "Ramblings by Robyn". This is Day 30 of "31 Days of Perfect Party Planning". See the rest of the series here. Hello, I'm Katy, Clare's favorite, younger sister. 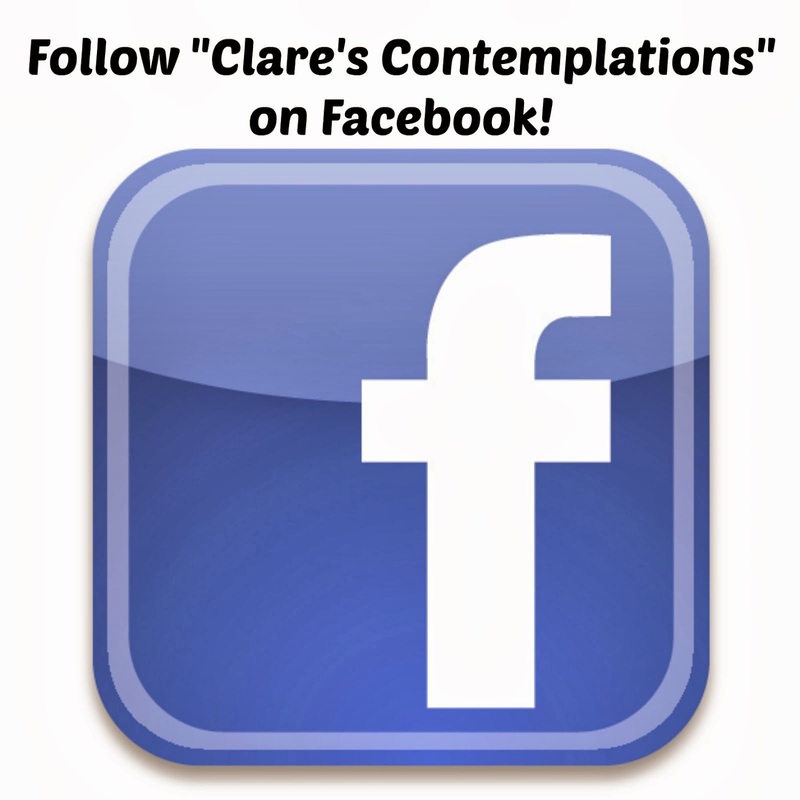 I'm guest posting today as a favor to Clare, so please direct all hate mail to me. I've decided to write my pro tips for a bridal shower. 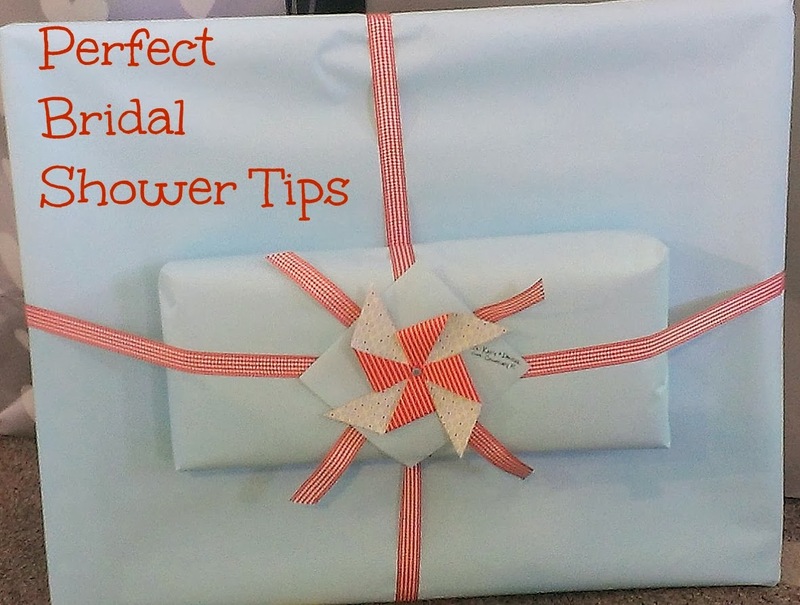 I am a bridal shower expert because I just got married in July, or something like that. In actuality I have never hosted a shower, because I was the worst bridesmaid ever. However I complied these tips in part from our other sister (there are a quintet of us) who has hosting experience. Enough about me let's get to the tips! At both of the showers that were held for me it was the small thoughtful details that really stood out to me as a bride. Here are some of those details. Providing me a cute notebook to write down all the gifts and givers, much better than a napkin or envelope. You could even match it to your color scheme to be hostess extraordinaire. Putting labels on the packages as an extra layer of gift identification security. This really comes in handy when the gift list says " Jane Smith-drinking glasses" and the bride has received three different sets of glasses. Finding a crafty person to assemble the bow bouquet. I'll admit I didn't even think of this as a bride, so it was so nice to have someone assigned to this sentimental little detail. Both hostesses used my engagement pictures as part of the invite, which was really sweet because honestly what else are you going to do with those unless you creepily have a whole gallery wall in your house of nothing but engagement pictures or something like that. Favors! My hostesses made it rain like Oprah's favorite things, except with no cars or vacations, so maybe not. Anyway, even adults like prizes and favors. You should have seen the middle aged soccer mom at my shower who leapt two folding chairs in a single bound to win some chocolate. The $2 gift can really make the $30 gift shine. What I'm saying is some of my most memorable gifts were things like my hand mixer + a boxed cupcake mix or my bathroom accessories (toothbrush holder etc. )+ a lace doily because the guest said every woman needs a piece of old lace in her home. Gift cards are totally great, I loved and used/plan to use every last gift card as a poor newlywed. However, the "perfect guests" went the extra mile including a little something personal with the gift card whether it was a Christmas ornament attached to the card or my husbands's childhood neighbor who gave us a gift card + a fire extinguisher after spending many 4th of July's together. I will echo my brilliant sister who says "resist the lazy gift bag". Brides like cats and four year olds love the satisfaction of tearing open your beautifully wrapped gift, and everyone will "ooo and ahh" the way they never do for a boring bag. Lastly gift bags ruin traditions! Only wrapping brings the prized bows for the bow-bouquet! Thanks, Katy! I realized that a bridal shower is the only main party type I haven't had the chance to do yet. It is great to hear from the perspective of the guest of honor. So many of these tips would also work well for a baby shower, or even a birthday party, too! This is Day 27 of "31 Days of Perfect Party Planning". See the rest of the series here. 1. "Verbose" Song/Book Titles: We played a version of this at my "Totally 80's" birthday party, using 80's song titles. You take a song or book title (use ones that coordinate with your theme) and extend it, being as wordy as possible, and only using synonyms for each word in the title. You can see some of my ideas in the picture above. I just type them up in Word. Be sure that you write your answers somewhere-it can be more difficult than you think to remember them! You could also do this for a baby shower with nursery rhymes ("Rhythmically move back and forth, farewell, tiny, new child" would be "Rock-a-Bye, Baby) or children's book title ("Feline in head covering accessory" would be the "Cat in the Hat".) You can award extra points or make it more difficult by asking people to list the author or artist, as well. 2. Acronyms: This is a great baby shower activity, using the new baby's name, but you could also do it at a bridal shower, using the couple's last name, or at an older child's birthday party. Kids love to hear complimentary things about themselves! You could also do a version of it at a party with couples-ask them to do their own last name separately and award a prize to the couple who have the most similar answers! You simply list positive adjectives for each letter of whatever name you are using. It makes a wonderful keepsake for the guest of honor. 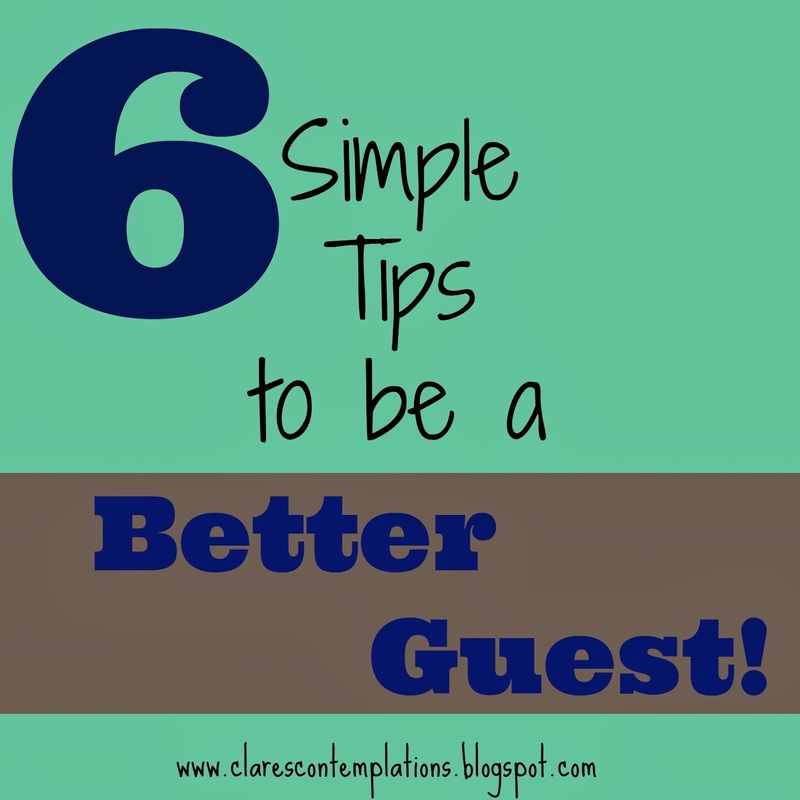 To simplify it, if you are doing it for a specific person or name, type the name vertically in large font in Word and print out copies for each guest to use. Have everyone share their "answers" after they are done. 3. Sign/color a book: A great keepsake/activity for any party that you have a guestbook for, is to have a specific book (a storybook, or illustrated children's book works really well) for guests to leave their comments in. You can even use a coloring book, and encourage guests to color the page they sign. At my sister's wedding, my sister Robyn, provided ink pads and blank index cards for guests to put fingerprints on and then create little characters/animals and leave their congratulations. It was very cute and much more personal than a regular "sign your name" guest book. I have also seen this idea used on diapers at baby showers, you write a witty comment on them in permanent marker, but I am not a huge fan of this, myself, but it would be easy and useful! 4. Craft project: At Carson's "Wild Things" party, each child made their own crown (in the book, Max wears a crown). When Josie had her American Girl doll party, I found mini craft kits that they could make doll headbands out of. 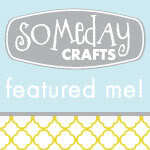 See if you can find a simple project that relates to your theme and have all the guests make something! If it is a baby shower, you can make something all the guests can give to the guest of honor. I have seen showers where everyone creates a hairbow or onesie for the new baby. Or you can make something the guests can take home-at the art party all the girls made aprons. This was really easy-we just let them use sharpies! Take any aspect of your party to use as inspiration, and even consider pre-assembled craft kits to make it easy. Oriental Trading is a great source for this kind of thing. 5. Scrambled Words: This is a great standby, and also a good time-filler. You can scramble your own theme-related words, or you can use a puzzle-maker like this one. This site, Discovery Education, has tons of options to make your own word search, crossword puzzles, and lots of other things. You can have a lot of fun with it even if you aren't having a party! Don't force yourself to have a game or activity, but consider the possibility. Sometimes the goofier and crazier you get the better memories everyone will make! You don't have to have every minute planned-just one, perhaps two is usually plenty. And don't forget, sometimes simple is best: a pinata, or pin-the-tail/bow/any-piece-you-want on the whatever are always fun! This is Day 26 of "31 Days of Perfect Party Planning." See the rest of the series here.